Looking for a unique and useful gift? 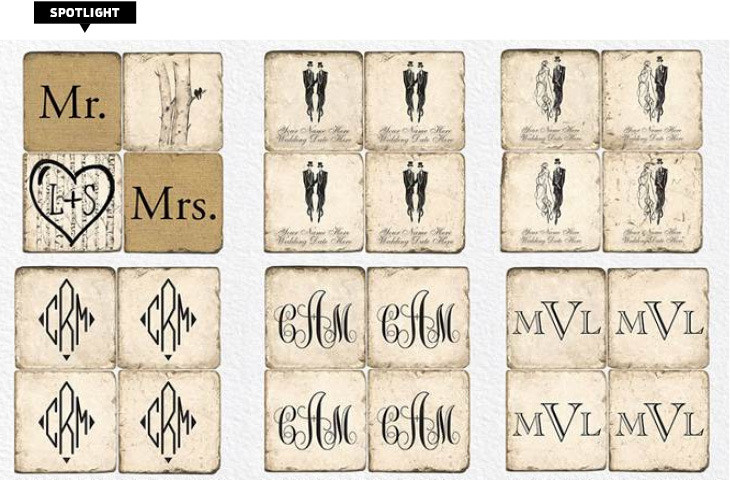 Studio Vertu’s classic marble coasters can be personalized with the name or initials of the happy couple. Let’s be honest, coasters are a universal present: if you’re a wedding guest, they make a great gift for the newlyweds; if you’re getting married, present them to your bridal party as a souvenir of your mushy, everlasting love.